Reddy's huge head evokes the viewer of ancient times when the goddesses and the fecundity of women was worshipped and presents a new mythology of the life cycle. After studying fine art in India and Great Britain, he unveiled a female figure expressed as pop art. 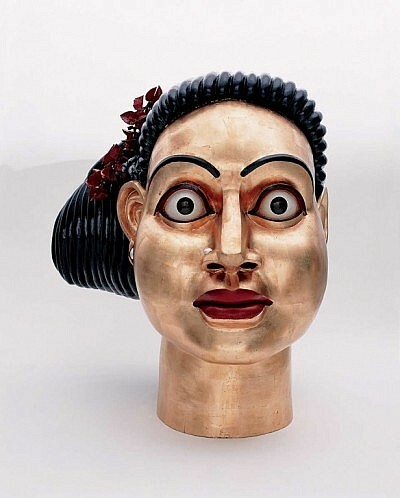 Up until now, he has continued producing sculpture of various female figures and portraits, in a stylized expression closely tied to Indian religions, folklore, or artistic traditions. Some of his recent works are grand shiny copper-gilt female statues, which illustrates his method of producing deeply religious themes that remind one of folklore art. One feels there the female Yakusi, a demi-goddess intimately associated with the earth, who brings about plenty.